"A baby will make love stronger, days shorter, nights longer, bankroll smaller, home happier, clothes shabbier, the past forgotten, and the future worth living for"
How does the baby milestone photoshoot work? After your portrait session is scheduled (session fee is paid + contract signed) we will schedule an in-person or over the phone consultation. This is the time to fill me in on everything you want from your session. I will guide you every step of the way to make this an easy process with a fantastic end result! I will help you with what to wear, selecting props and outfits, and will discuss how you want to display your finished portraits as artwork in your home. I am an on location photographer, which means that on the day of the session we will meet at your residence and I will take pictures in the comfort of your home! 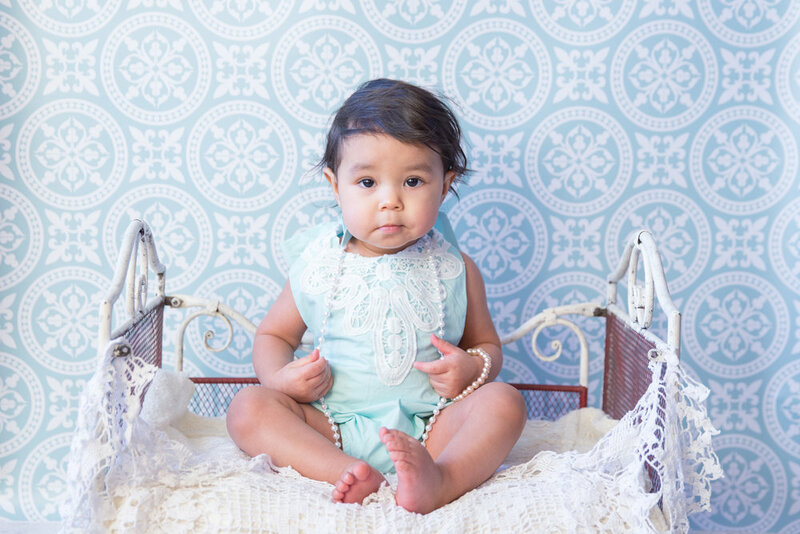 My portable studio system and experience will ensure we capture the most beautiful images of your baby with the least amount of disruption to your household and the most amount of parental enjoyment possible. I want you to have fun. I want things to be relaxed, flexible, and as comfortable as possible for you and your family. 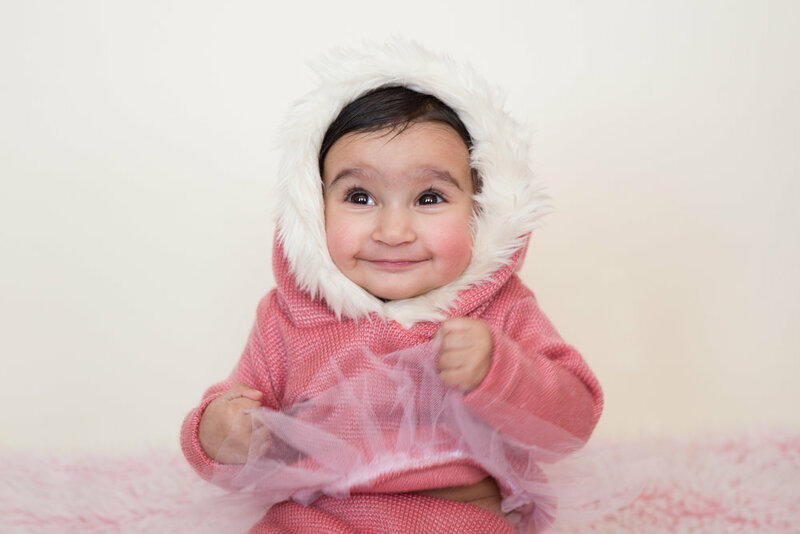 When should I schedule a baby milestone / sitter photoshoot for my baby? Baby milestone session is any session to capture your baby's journey during the first year. It could be a 3, 6 or 9 months milestone. The "Sitter" session is usually scheduled when the baby is able to sit unattended. This usually happens when the baby is 6-8 months old. We can pre-book this session in advance and finalize the date depending on your baby's ability to sit closer to the scheduled session. Do I need to prepare any special clothes for the baby? It is not necessary. I will bring different adorable outfits, hats, headbands and props, however if you have a special piece of a clothing or an item you want to incorporate into the photoshoot, you are more then welcome to have it ready for our session. We can discuss colours, props and outfits in more length during our consultation session. How long will the baby milestone photoshoot take? Milestone/Sitter photo session may take up to 2 hours. Yes, immediate family is welcome to join. Please let me know in advance how many adults / children will be joining the photo-shoot.